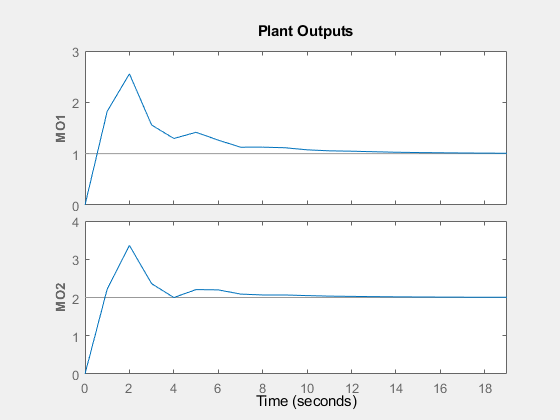 This example shows how to simulate a model predictive controller under a mismatch between the predictive plant model and the actual plant. The predictive plant model has 2 manipulated variables, 2 unmeasured input disturbances, and 2 measured outputs. The actual plant has different dynamics. Define the parameters of the nominal plant which the MPC controller is based on. Systems from MV to MO and UD to MO are identical. Define inputs 1 and 2 as manipulated variables, 3 and 4 as unmeasured disturbances. For unmeasured input disturbances, the MPC controller will use the following unmeasured disturbance model. 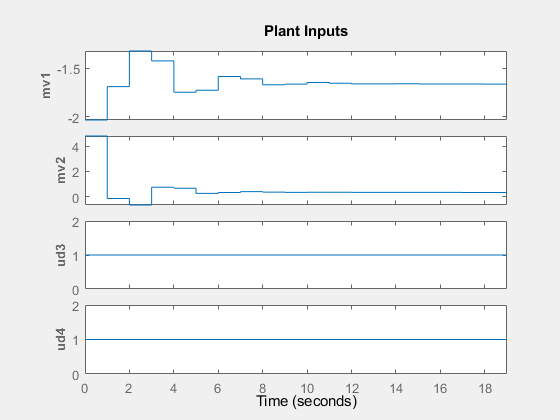 Define the parameters of the actual plant in closed loop with the MPC controller. 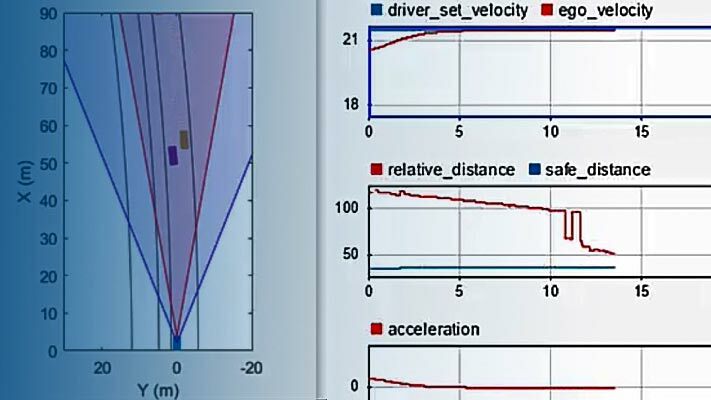 Define reference trajectories and unmeasured disturbances entering the actual plant. Create an MPC simulation object. Run the closed-loop MPC simulation with model mismatch and unforeseen unmeasured disturbance inputs. -->Assuming output disturbance added to measured output channel #2 is integrated white noise. The closed loop tracking performance is acceptable with the presence of unmeasured disturbances.